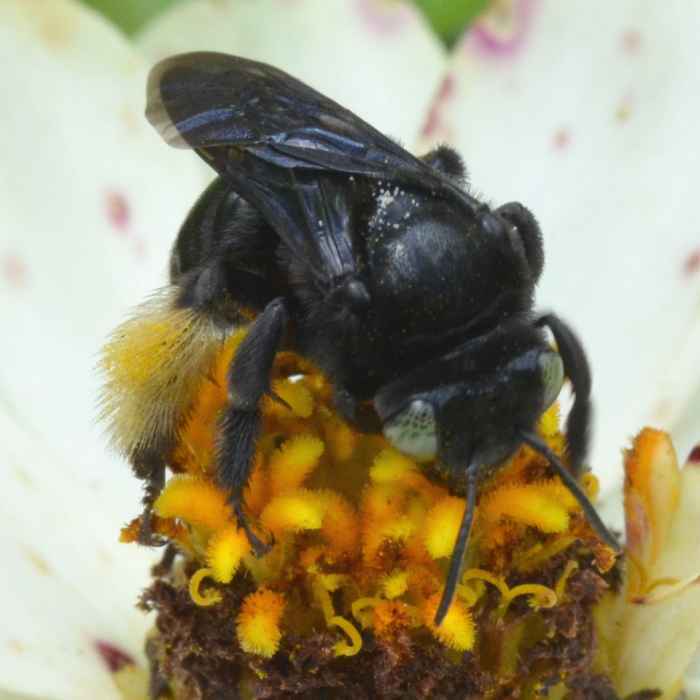 Melissodes bimaculata (Long-Horned Bee (nonspec.)). Size: approx. 10-15 mm. Photo: 09/08/11, 2 pm. 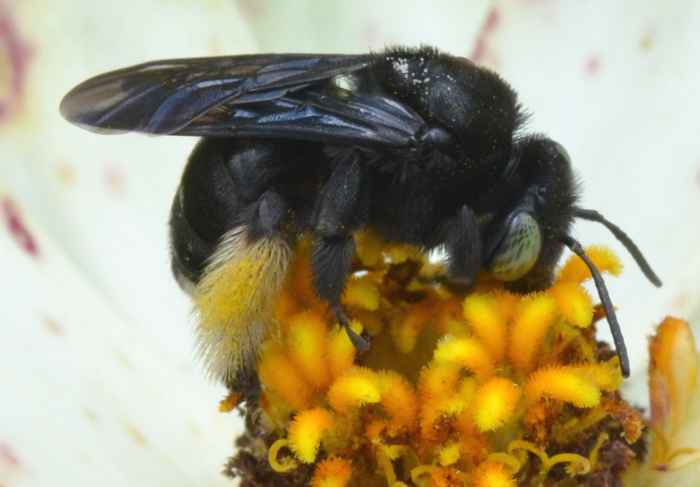 A black bee with one pair of legs covered in white/yellow fur. This is Melissodes bimaculata. The genus is wide-spread throughout the US and has over 100 species. The species name "bimaculata" refers to a pair of white spots near the tip of the abdomen, which cannot be seen on these photos.